What’s the Volkswagen Atlas Towing Capacity? The 2019 VW Atlas is more than a midsize SUV that offers premium fuel economy, top-rated safety features, and luxe interior features — it’s also a high-performance towing machine. The new Atlas towing capacity is 5,000 pounds. Whether you need to tow a boat or a small camper in Daphne, you can count on the brawny Atlas SUV. Learn more about its performance and specs before heading to our dealership for a test drive! 2.0L Turbo 4-Cylinder Engine: This is the standard engine, which comes on the base Atlas S model. It produces up to 235 hp and 258 lb-ft of torque. 3.6L V6 Engine: All other models of the Atlas come standard with this engine, which produces 276 horsepower and 266 lb-ft of torque. Both engines come paired with an 8-speed automatic transmission. Front-wheel drive is standard, but you can choose a trim with 4MOTION® all-wheel drive if you need a little extra power. Test Drive a New Atlas Mobile! When you’re ready to explore the Atlas performance in person, schedule a test drive at Volkswagen Mobile near Fairhope and Gulf Shores! 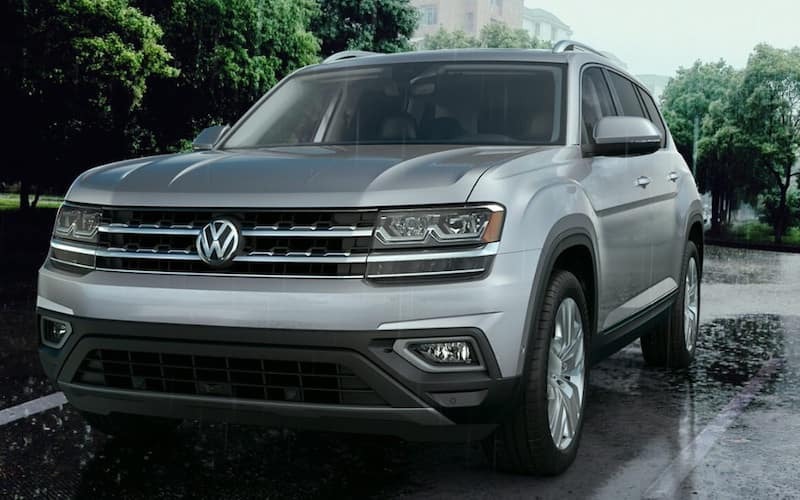 Our experienced team members can answer any sales or finance questions you have to get the best Volkswagen Atlas lease offer. We’ll walk you through the financing process as well! If you have any questions about the VW warranty and protection plans, please feel free to contact us at your leisure! 0 comment(s) so far on What’s the Volkswagen Atlas Towing Capacity?